Guess what? President Trump just won- again. Trump just made the impossible, possible- again. Trump just made Mexico pay for the wall. More on that in a moment. Well I’m here to report that America is the greatest country in world history. And I know why. Because we’re blessed by God. I know it’s not politically correct to say that. But like President Trump, I only report the raw truth. It’s so sad that liberals don’t believe, or understand the greatness of America. Because great things come to those who believe. I’m a SOB- son of a butcher. Guess who just joined my hit national television show? Bill O’Reilly. Bill was the unchallenged “King of Cable TV News” for a remarkable 16 consecutive years. Now Bill O’Reilly has decided to make his comeback on my “Wayne Allyn Root Show” on Newsmax TV. What an honor. There is no other country in the world where this could happen to a butcher’s kid. But that’s not my only honor to report. 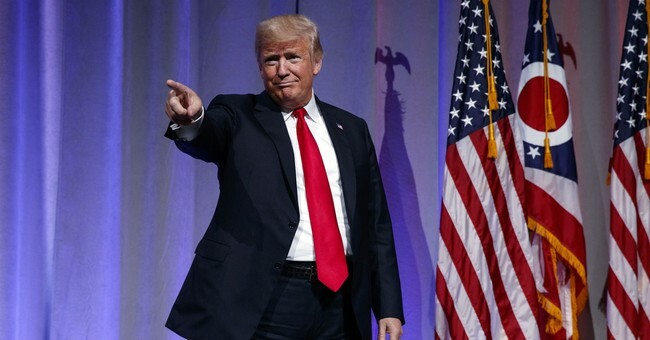 This butcher’s son has also been chosen by the publishing division of Newsmax TV to write the book about the one-in-a-billion business and political success of President Donald Trump. The last four books published by Newsmax have all been New York Times bestsellers. My book “The Trump Rules” is the next in line. Now to the latest great news about President Trump. I was the only newspaper columnist in America who predicted that Trump’s approval ratings would go up in the face of guilty verdicts and pleas by his associates Paul Manifort and Michael Cohen. Sure enough, as if on cue, the new Wall Street Journal/NBC poll is out. Trump is at or near his all-time record high. But that’s not the only thing hitting record highs. *Consumer confidence is now the highest in 18 years- since October of 2000. *Corporate profits are hitting records. The stock market was up over 250 points on Monday. Most every stock index hit record highs. *The Atlanta Fed now predicts booming 4.6% economic growth in the 3rd quarter. That's after Wednesday's upward revision of 2nd quarter GDP to 4.2%. *And at global online gaming sites, more people are betting on Trump’s re-election victory than all his opponents combined. While we don’t know all the details yet, I guarantee this new trade deal will save us tens of billions, perhaps hundreds of billions of dollars over the next decade. Since the wall with Mexico costs about $25 billion, Trump just forced Mexico (whether they know it or not) to pay for the wall. Once again, Trump accomplished what establishment politicians of both parties said could never be done. But with Donald J. Trump there are no such words as “never” or “impossible.”Trump has chutzpah. Trump has cajones. Trump aims for the moon. Trump is combative and aggressive. Trump is driven to do what others say cannot be done. Trump is an eternal optimist. He accepts nothing less than #WINNING. I call those traits “The Trump Rules.” He proves they work every day! You can bet he’s gotten Mexico to pay for the wall- his No. 1 promise of the election. You can bet we will now begin building the wall. Just as I knew his popularity would go up after the terrible week of guilty pleas and nonstop media assaults last week. Writing a book on the remarkable, one-in-a-billion “Trump Rules of Success” is easy. The book just keeps writing itself. Every week comes a new victory none of Trump’s critics ever believed possible. Trump just keeps writing the book for me! Thank you, Mr. President. You really are THE GREATEST!